Click ‘the link below, then click Share & Save $10 Now!’ On Saatva’s Checkout Page for a $10 Facebook Discount!“. Zenhaven Mattress by Saatva is different than most online mattresses, it is a luxury latex mattress delivered right to your door and set-up for you, its also offers DUAL firmness’s on one mattress. 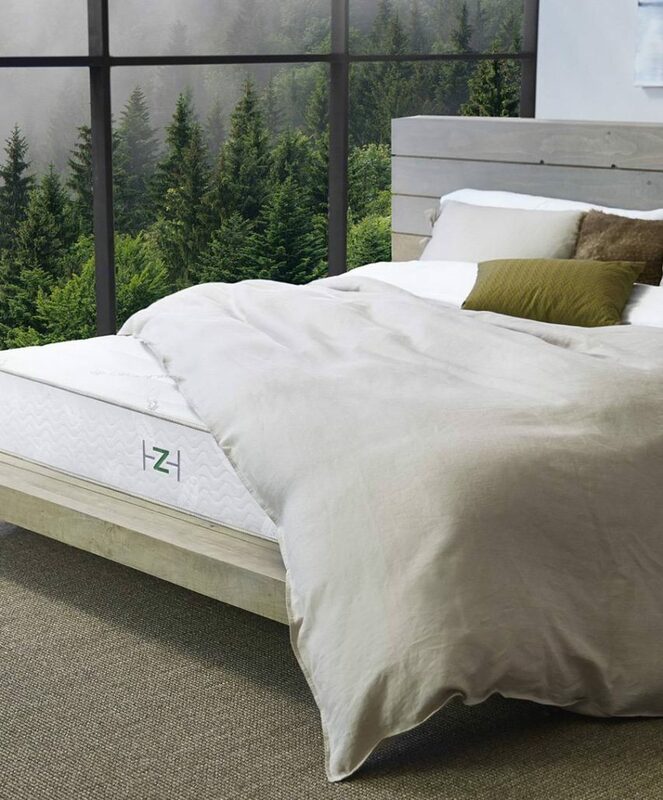 The Zenhaven mattress by Saatva offers a luxury talalay latex foam mattress that you can customize to your specific comfort level. Not only can you choose the mattress, base and frame that works best for you, it also will be delivered, set-up and your old mattress can be removed. See the full review below. 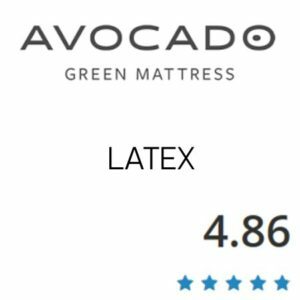 Are looking for a luxury mattress at a good price – Solid latex mattresses can be extremely expensive in stores. They are hard to find in stores as well. 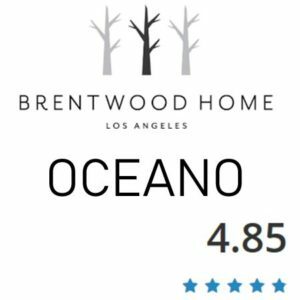 So this is a good option and its priced very fairly. Like to sleep cool – Generally latex is one of the coolest foams out there. So if you sleep very warm a solid latex mattress like Zenhaven could be a good option for you. Dual Firmness’s – Buying online can be a bit scary. One perk here is Zenhaven can be flipped to have two different firmness’s. If your body changes or you just want to try another firmness level they have you covered. Are looking for a mattress to fit all sleeping positions – Zenhaven is a good firmness for all sleepers, plus you have two firmness levels to pick from. Are Health Conscious – the Zenhaven design is naturally hypoallergenic and antimicrobial. Prefer a memory foam feel- Zenhaven uses latex which has a different faster reacting feel than memory foam. Memory foam is slower to react and you have a bit more of a sinking hugged feel. Are on a tight budget – Although Zenhaven is priced great for a solid latex natural mattress it is still a higher priced mattress. 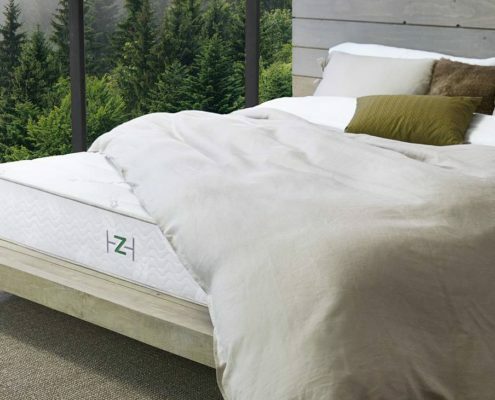 The Zenhaven is a 10″ dual sided mattress built from 100% natural latex & an organic wool cover. 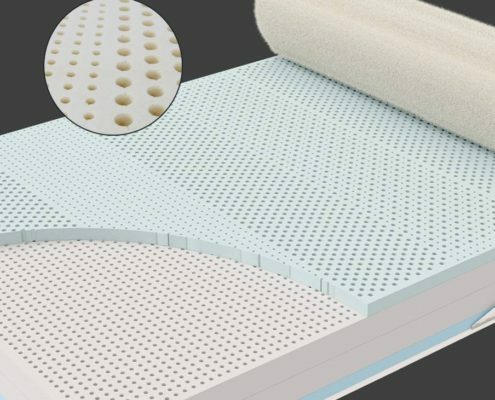 1st layer – the top layer of this mattress is 1.5″ of Talalay latex. Latex is naturally cool, has great bounce, and responsive. 3rd layer – 3″ Talalay latex with an ILD of 30-34. When flipped to the firmer side, this layer is the 2nd layer, it will provide firmer support. 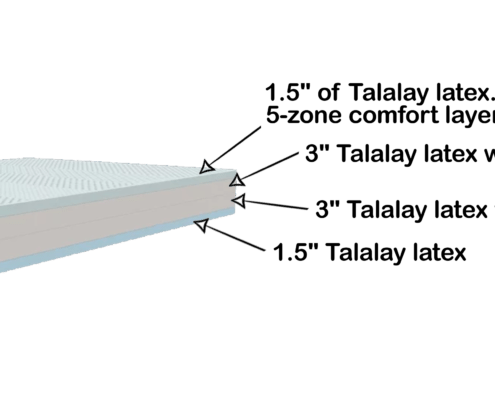 4th layer – 1.5″ Talalay latex. 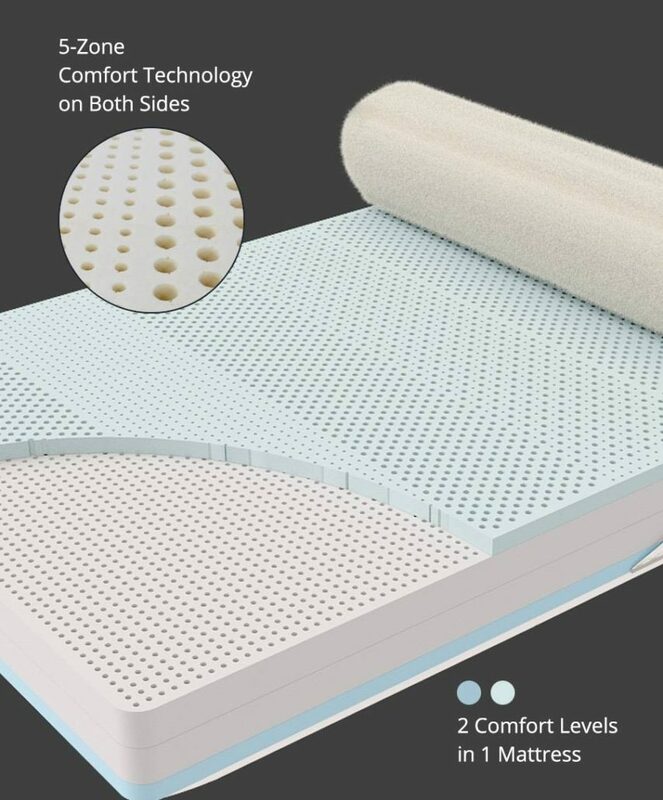 Serving as additional support for the 3 layers above, this bottom layer is also the top comfort layer for the firmer side of the mattress when flipped over. Zenhaven uses a natural organic cotton and wool cover. The wool acts as a natural fire barrier as well so they don’t need to use chemical fire retardants. The Zenhaven Bed will work great on any solid surface. Whether you pop in on the floor, on a wood foundation/boxspring, a platform with slats or upgrade to an adjustable base, this mattress will perform great. We had a good experience on the Zenhaven Mattress. 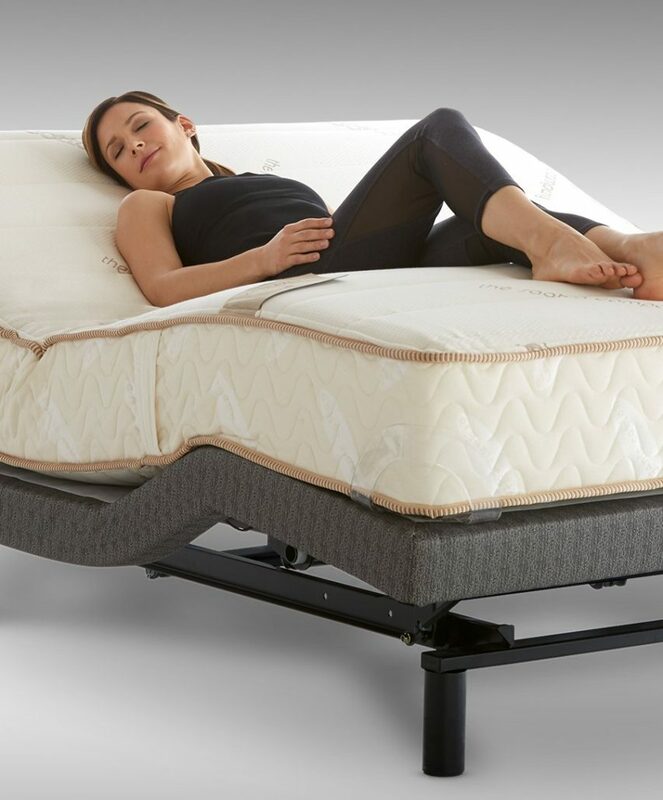 One of the biggest perks is you are able to flip this mattress to experience two different firmness levels. The Zenhaven Mattress impressed me for the following reasons. A.) I’m personally not worried about having all natural but its nice to know and its a huge perk. I can also say I would be even more interested in raising kids with natural mattresses. B.) The mattress was exceptionally cool. Latex in my opinion is the best for temp regulation and it held true here. It did not trap heat at all for us. C.) It worked well in all sleeping positions. The medium was great for all positions. The firm will work better for those who sleep primarily on their back or stomach. And it had very little motion transfer. D.) There was no off gassing at all. There’s always a “new smell” but not being roll packed is another perk here. It has time to breathe during manufacturing and shipping. The Zenhaven was nice. This was just our 2nd time on an all foam-all latex mattress so I am not used to the feel and bounce. But its really nice after sleeping on memory foam for so long. As a side sleeper it was great on the soft side. We only tired the firmer side for 2 nights and it was comfy but for side sleeping the softer side was certainly better. It’s nice to have the choice though, especially since not everyone even know what firmness works best fro their body. Overall, Zenhaven and all of the Saatva mattresses were great. The Zenhaven performs great with temperature regulation. I am a firm believer that eventually your mattress will end up the temp of you body but some foam disperse heat better than others. Latex in my opinion is best for temperature regulation. It disperses heat quickly and is also aerated to provide good airflow. Zenhaven will have no issues on an adjustable. It will work great. 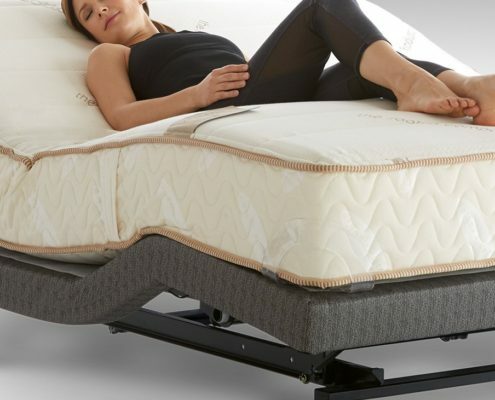 Saatva and Zenhaven offer the Lineal Adjustable base right on their website and can be delivered right with the mattress. Click our link then click ‘Share & Save $10 Now!’ On Saatva’s Checkout Page for a $10 Facebook Discount!“. Discounts – Click our link then click ‘Share & Save $10 Now!’ On Saatva’s Checkout Page for a $10 Facebook Discount!“. Saatva the Zenhaven parent company is one of the fastest growing online mattress companies in the country. 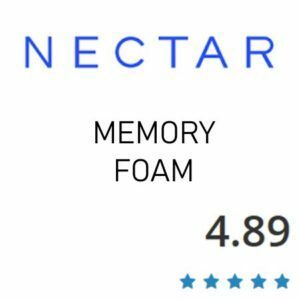 The offer 3 mattress lines hitting latex, memory foam and innerspring. Click ‘Share & Save $10 Now!’ On Saatva’s Checkout Page for a $10 Facebook Discount!“.